The Spigen Rugged Armor Case Black OnePlus 6 is a flexible TPU case with a tough design. Thanks to the carbon fiber structure that Spigen has processed in this case, it looks sleek, fast and modern. The Spigen Rugged Armor Case Black OnePlus 6 is a flexible case made of TPU and with a tough design. Thanks to the carbon fiber structure that Spigen has processed in this case, it looks sleek, fast and modern. 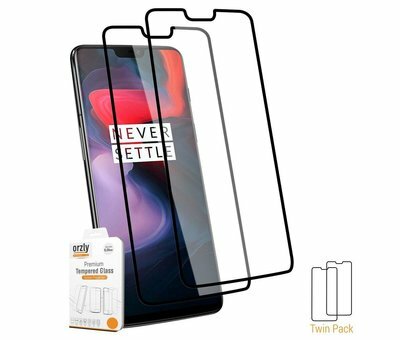 Buttons and connectors are released in the design of this case so you can keep using all the functionality of your OnePlus 6, and thanks to the raised edge of about 1.2mm on the front, it's no problem when you put your smartphone with the screen down on the table. Besides being nice and functional, he is also able to offer your OnePlus 6 the protection he deserves. This is because of the Air Cushion technique that Spigen has used to optimally absorb shocks and bumps. With this technique, a small amount of air is trapped between the case and your phone, so that in the event of an undesired hard landing, it leaves the leeway that is needed to keep your phone intact. We recommend this Spigen Rugged Armor Case Black OnePlus 6 along with a 9H Glass Screen Protector to also protect your display against scratches, fingerprints and other unwanted risks. For this we have compiled a bundle for you at the bottom of the page. Easy and also a lot cheaper. Prima hoesje. Goeie knoppen en hoge kwaliteit.